A Pius Geek: Who wants a free book? So, how do you get a free copy of A Pius Legacy? Well, you remember how free Kindle copies work? I set a specific promo day for everyone to download a free copy. Those copies downloaded count on Amazon in the "members who have bought X item have also bought Y." Well, while that's all well and good, Amazon does not allow that to happen until you get 40 reviews on you novel. Yes, you heard me, 40 reviews. And I'm going to take a wild shot in the dark that all the reviews had better be good ones. Right now, I'm halfway there. Last year, over a thousand (okay, 1400) people picked up a copy of A Pius Man via the free Kindle day, and I've gotten 20 reviews. Count 'em, 20. And some of these I've had to ask for, some of them have been really recent. So, if you want a free copy of A Pius Legacy .... just review A Pius Man. The point of free Kindle copies is to drum up PR. Let's start, shall we? This doesn't necessarily mean you have to wait. 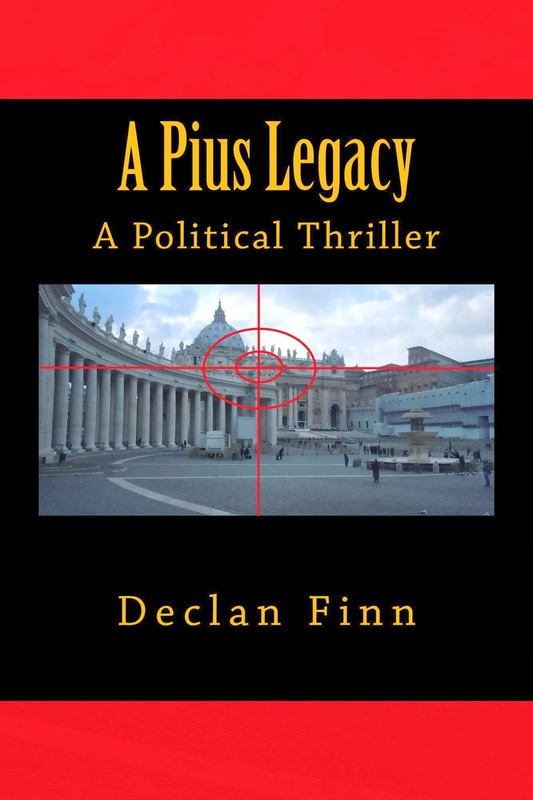 Go write a review, post it at Amazon, and come back here and comment, or email me at DeclanFinnInc@aol.com and I will personally send you a Kindle copy of A Pius Legacy. Those 20 people who have already read it have gotten (or will be getting) their own copies, one way or another.